Certified Nurse Assistants play an important role in the provision of direct patient care services as evidenced by the tremendous growth for their special skills in the caregiving industry. Well-trained CNAs benefit from numerous job opportunities with competitive salaries in Oshkosh, WI, and surrounding areas. Graduates of approved CNA training programs are eligible to apply for the written/oral and skill Nurse Aide Competency exam for placement on the Wisconsin Nurse Aide Registry. Upon successful passage of the exam, candidates can work in state and federal approved long-term care facilities where they will care for residents under the direction of a licensed practical nurse, registered nurse, or physician. CNAs assist patients with the activities of daily living, measure and record vital signs, keep patients’ rooms tidy, report adverse reactions to treatments to nurses, maintain medical equipment, provide emotional and physical support to patients, and assist with personal care and hygiene. The Nurse Assistant Certificate course at Aurora Medical Center prepares students for the state certification exam in just 15 days. The curriculum comprises of 120 hours of classroom sessions (conducted at Aurora Parkway Building) and clinical practice at St. Luke’s Medical Center or another nearby facility. Class times are 7:30 a.m. to 4:00 p.m. during the week. There are five clinical days in the program. Applicants must submit a completed application, which admissions will review and select the top candidates for an interview. Employment history, academic achievement, applicants’ response to the interview, compliance to the application requirements, knowledge of the role of the nurse aid, and communication skills, and score on the math assessment are the main factors admissions will consider to make a final selection. Upon selection, the candidate will need to submit to a mandatory criminal background check, take a TB test, and provide documentation of MMR vaccination and Hepatitis B series. Influenza vaccination is required for students enrolling during the flu season – October through March. Students must wear scrubs during the clinical days and attend all classes and clinical sessions to qualify for graduation. At the conclusion of the program, students should plan to attend a blood pressure class from 7:30 a.m. to 9:00 a.m. on the day after the last class day. Tuition for the program is $600 plus $115 for the state test. Students must also budget for the textbook, uniform, background check fee, and clinical supplies. Clarity Care offers a combined Home Health Aide/Nurse program that will prepare graduates for employment in home health and medical facilities, such as nursing homes, hospitals, and long-term care facilities. In the classroom, instructors cover nutrition and feeding, medical record keeping, home safety, aging disorders and dementia, resident rights, introduction to the role of the nurse assistant, personal care skills, range of motion, first aid procedures, home safety, and end of life care. The curriculum includes 120 hours of instruction: 80 hours in the classroom and 40 hours at a clinical site. Applicants must submit to an out-of-state background check and a 2-step TB test. The class fee is $675 plus $115 for the Nurse Aide Competency Exam. Fees for the background check, immunization, and TB test apply. The Nursing Assistant Diploma program at Fox Valley Technical College prepares students to provide for the personal care and comfort of the patients they serve. Through a combination of classroom and clinical instruction, students learn how to transport patients, measure and record vital signs, bathe, dress, and feed patients, maintain patients’ room, keep patient records, communicate effectively with patients, protect patients’ rights, and execute the responsibilities of a nursing assistant. 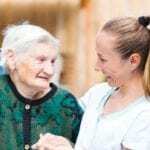 Dementia and rehabilitative care are also key components of the curriculum. Upon completion of the 120-hour (3-credit) course, students will be ready to take the certification exam for employment as a Certified Nursing Assistant. Applicants must complete a criminal background check as part of the application process. Health requirements include a physical exam, immunization (MMR, Hepatitis B, and influenza), TB testing, and a physical exam. The program will cost approximately $457.25 – subject to change. The American Red Cross is a premier provider of nurse assistant training in Wisconsin and across the nation. In addition to 120 hours of classroom, lab, and clinical training, students receive blood pressure training. Applicants must attend a mandatory orientation session, submit a completed application, complete a criminal background check, provide a copy of their driver’s license and signed social security card, and complete the health requirements. These include a physical exam completed by a licensed physician, a TB test or chest x-ray, and required immunization. Applicants without a high school diploma or GED must complete a TABE test to demonstrate their ability to read, write, and comprehend at an eighth-grade level or above. Red scrub bottoms and white scrub tops are necessary for the class and clinical sessions. Perfect attendance is required for successful completion of the program. Students who miss classroom hours need to arrange a make-up day, which costs $25 per hour. The ARC will pre-arrange a date for graduates to take the state exam at the Red Cross facility. The course fee of $800 includes classroom and supervised clinical training, Adult CPR/AED and Community First Aid certifications, and an exam review day. Scholarships are available for qualifying students. The Nurse Aide classes at Wisconsin C.N.A. Training Center are taught by an experienced Registered Nurse instructor to prepare students for success on the state certification exam. Day and evening schedules are available to facilitate the adult, working professional. WCTC maintains small class sizes, an informal and student-friendly atmosphere, and lots of hands-on practice in the school’s lab and a community medical facility. 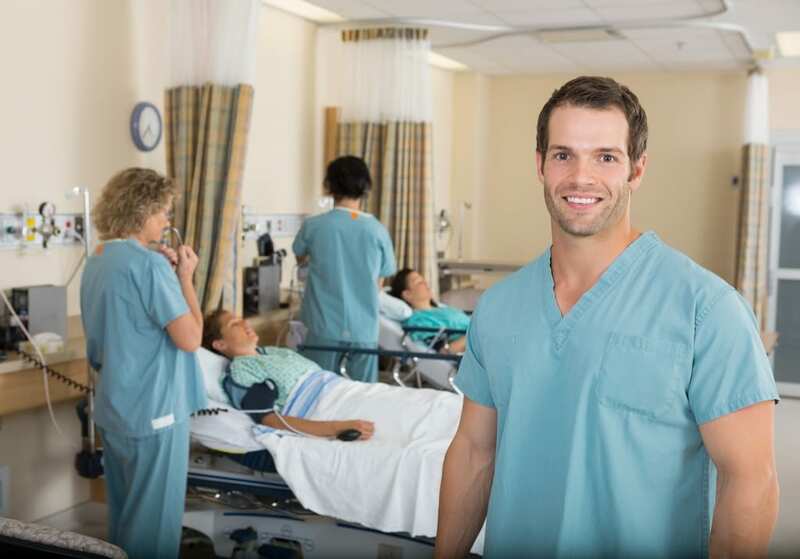 The curriculum consists of 120 hours of classroom and clinical instruction in the roles and responsibility of the nursing assistant, basic nursing skills, personal care skills, measuring and recording vital signs, observation and reporting, infection control, range of motion, dementia care, feeding and nutrition, patients’ rights, laws and ethics, safety and emergency procedures, and rehabilitative techniques. The class instructor emphasizes compassion and respect for patients and trains students to become competent and knowledgeable in the area of health and wellness. Applicants must complete the school’s application form and the criminal background check request form and submit the $100 non-refundable fee. Students accepted into the program must pay the tuition balance of $695 before the first day of classes. The fee includes textbook and enrollment costs. Moraine Park’s Nursing Assistant program includes classroom theory, practice in the school’s lab, and clinical experience at a local medical facility. In accordance with the Wisconsin Department of Safety and Professional Services requirements, the curriculum covers 120 hours of instruction in maintaining and protecting patients’ rights, assisting with personal care and hygiene, communicating effectively with clients, assisting with restorative and rehabilitative treatments, recording and reporting information, assisting clients with disabling conditions, such as dementia, and incorporate the state’s legal and ethical laws into practice. Applicants must submit a completed application form and $30 one-time fee and meet the criminal background and health requirements. The school accepts students 16 years or older. Tuition for the 3-credit program is $385.20 for resident students and $577.80 for out-of-state residents. Miravida Living accepts applications for our Certified Nurse Aide Training Program on an as-needed basis. The free training prepares adults for a career in health. Graduates will take the state certification exam to become a CNA and will be eligible for employment at Miravida Living. Applicants must provide documentation of US citizenship or legal residency, pass a criminal background check, physical exam, drug test, and TB test, and commit to one hundred percent attendance. Classes run for 5 weeks and include instruction in the classroom and a clinical experience at the Bethel Home Clinical Training Site. Upon completion of the training, students will be scheduled for the nurse aide competency test within one week. The free training covers tuition, testing, and uniforms with a signed 12-month tuition reimbursement.